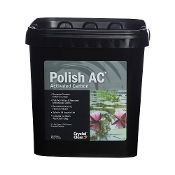 CrystalClear Polish AC is bituminous coal that has been exposed to extreme heat which activates the carbon giving it powerful absorbing powers. The billions of pores within the carbon act as hundreds of sponges soaking in many pond pollutants such as tannins, ammonia, nitrite and nitrate. 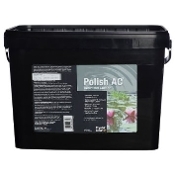 The result is a polished, healthy pond environment.